30. It sounds like a scary decade. 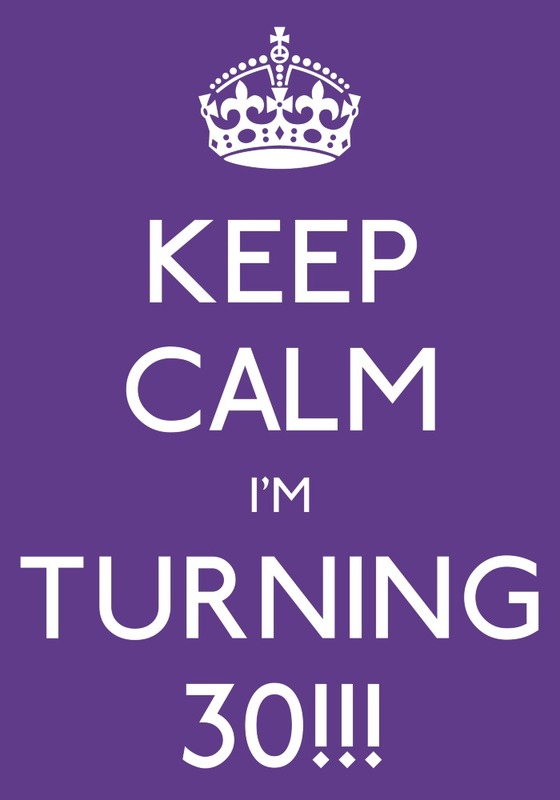 Or at least that’s what my boyfriend thought as I reminded him that 30 is the marriage and kids decade. It is strange to think that in ten years time that could be my reality. If I don’t have children it wouldn’t be the end of the world, but it would be heartbreaking because I’ve had maternal urges since the age of 18. This sums up how I feel about being broody. I know it’s just biology reminding you that your eggs are ready for fertilisation, but it is an unsettling feeling when you aren’t ready for kids – the biggest decision of your life. I go through intense broody phases every couple of years. I used to cure them by watching One Born Every Minute. Even that doesn’t work now. I find myself thinking yes, it looks like a horror movie, but after that she gets a beautiful bundle of joy to love forever. Now I cure broodiness by watching Super Nanny. It should be compulsory viewing for potential parents. 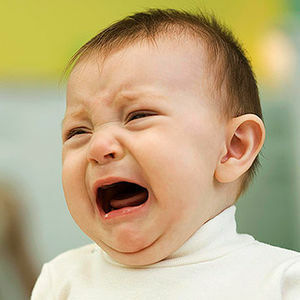 When you see a couple going insane for two torturous hours putting little Freddy back on the naughty chair, you realise why so many parents resort to violence. It’s the easy way out, just like plonking them in front of the TV is easier than reading to them. 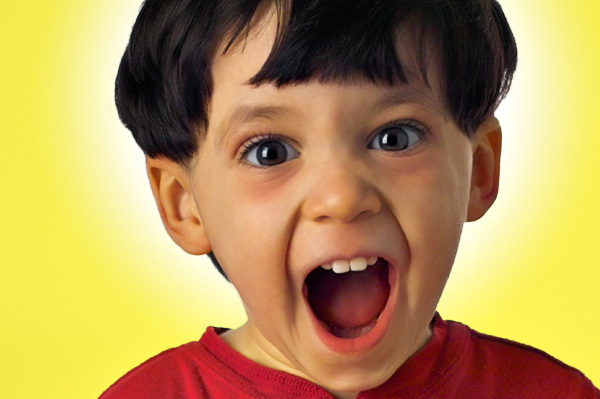 It was easy to see how parents could lose it when a child screams and screams…and screams. When a friend’s cat cried constantly from when I arrived to when I gave it food I was guilty of snapping at him. I raised my voice and told him off. He then avoided me for the rest of the day and I felt incredibly guilty. You see it time and time again on Super Nanny. The screaming from parents to children, from children to parents, the slaps. One couple were even shutting their toddler out on the patio like he was some kind of animal. On the other extreme there was the complete lack of discipline, leading to children up all night running wild, children who are tired and cranky the next day. You could see how the couple were creating the nightmare they lived in. On the website debate.org 60% of respondents agreed that there was no such thing as “good” or “bad” kids,only bad parenting. Yes, some kids are just naughty, but who does the child copy? Their parents. Think about it – by slapping your kids, what do you teach them? You teach them that you solve problems with violence. You teach them to fear you. Sometimes you even see the kids reflecting the parents behaviour, hitting their siblings. Of course children need to learn that there are consequences for bad behaviour, but is control through fear what you want? Or would you rather control through punishments like the naughty step? No child wants to be ignored and isolated and that’s how this control method works. 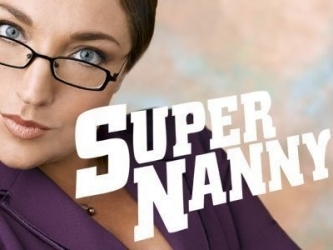 Part of the reason I watch Super Nanny is that I am fascinated by the way the lady works with the child’s psychological perspective to get into their head and onto their level. I saw my cousin successfully use a similar technique on his son. He asked his son to go out of the room for being cheeky and the child stomped his feet and had a tantrum. His father patiently let him do this and firmly repeated his request for his son to leave the room until he did so. He then asked his son if he was ready to come back in. The child said he was but continued to be naughty. His father told him to leave the room again. The boy cried and wailed at the perceived injustice. But my cousin did not falter, he simple asked his son if he was ready to come back in and behave again. The child said again that he was and this time he complied. I have done work experience at nursery so I’m aware of the reality of kids. The endless questions and demands for stories, the tears and the tantrums. Toddlers have to be the focus of attention 24/7. As soon as you look away they are there in your face, thrusting a soggy book at you with that wide-eyed look that you just can’t say no to. There are only so many times you can ask a child what number comes after three. Even the fingers on my hands didn’t help – the kid was convinced two was the answer. Too many would-be parents think of the cute pink baby and its massive eyes, of the love they’ll feel for this little beauty, of how that baby might somehow make their relationship stronger. As if sleepless nights and endless poo and vomit might somehow create some kind of unbreakable bond. Too many parents find out later that actually, what seemed like a solid relationship pre-baby wasn’t as strong as they thought, as sleep deprivation and drudgery take their toll. 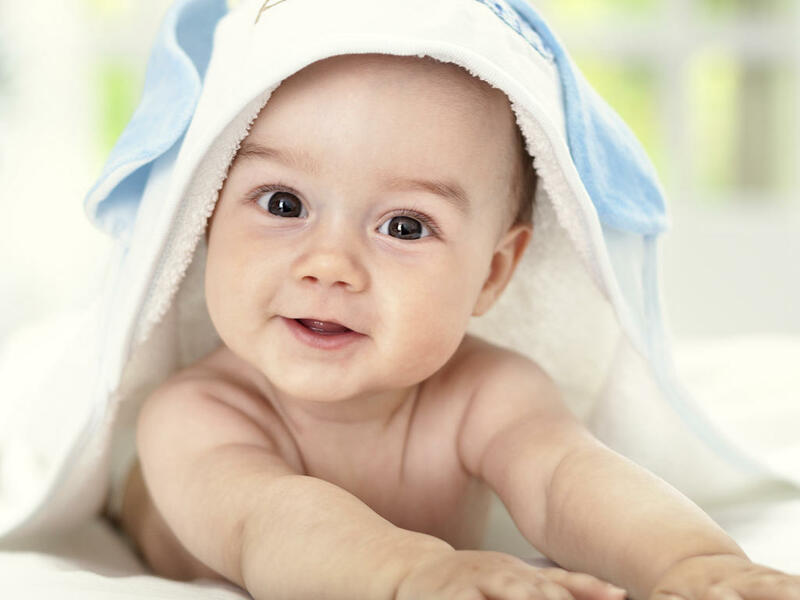 A study of 2,000 couples in Germany found that the happiness of parents decreases temporarily after the birth of their first child. It even causes 10% of parents to decide that they do not want to have another child. Knowing all this, I am slightly terrified about the idea of having children and I know my partner is too. I know it’s something I want and I hope he does too. But could I handle the stress? It’s not just me that is worried about the idea. My mum had a nightmare last week about me being pregnant. She asked again whether I was definitely just overweight and not expecting. She said in her dream, her and dad were panicking, wondering what they could do. I know it would be tough, because I find it hard to function with less than 7 hours of sleep and I would be reluctant to give up work to become a nappy-changing milk-machine. Scientists have discovered that how well we tolerate sleep loss is actually written into our DNA. Nothing can change that, and if all those affected remained childless, this gene would have been bred out in a kind of natural selection. But people are prepared for the pain and the sacrifice of children. As a friend said: “The sleep loss is only for two years and it’s worth it”. I think I want to leave it at least five years. When I said this to another friend she warned me about fertility – we have been told that levels decline from the age of 37, or maybe even 35. I want to have two children, so I don’t want to wait too late. Before I have children I need to be living with my boyfriend and preferably married. At the moment we are no further forward than when we met four years ago, because we are not even living together. It’s only now that I’m 30 that I’ve started to worry about our current inertia. Suddenly I am aware of the fertility clock ticking in the background. 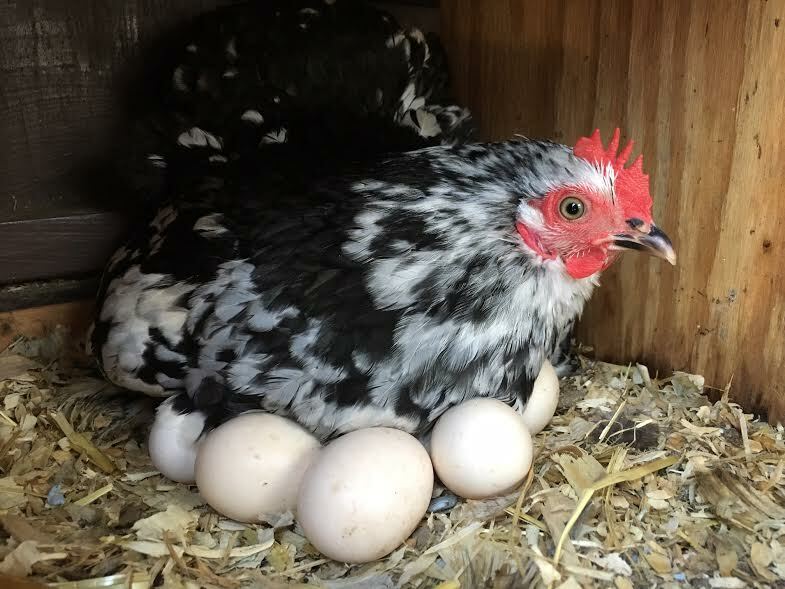 We women are born with all the eggs we will ever need. They just grow older every year until they become genetically damaged, increasing the risk of conditions such as Downs Syndrome. Genetic code starts to be eroded by the passage of time. What if we leave it too long and it’s too late? This has happened to other couples. Women who have left children until they were ready and financially stable have found that they cannot conceive naturally anymore and some don’t even have any luck with IVF. What seemed like such a sensible decision in their twenties backfires. The fertility clock has stopped ticking and their time is up. They will never have children naturally or even with assistance, and they have to make the difficult decision to adopt or remain childless. If I can’t have children naturally, I doubt I will bother going through the long, frustrating process of IVF. I’ve been into an Assisted Conception Unit and the room was full of miserable, defeated and exhausted couples. I promised myself I would never end up there. I’d rather adopt and help a child less fortunate than myself to have a stable, loving home to grow up in. I feel like I have too much love just for my boyfriend. At the very least I would need to get a pet, something to fill this child-shaped void in our relationship that is becoming more and more apparent as I get older. Who knows what the future holds. Hopefully our relationship will survive whatever fortune throws at us. If you’re thinking about having children please consider the reality first, think about the practicalities. Discuss who is going to do what and how you are going to manage the extra responsibilities. Think about how the child will impact on your current lifestyle. If you don’t have sufficient time to devote to your children then don’t have them. It isn’t right to leave them in the care of others almost 24 hours a day. You need to be prepared to support and guide each other through what is the most intense, stressful yet rewarding time of your lives. Or at least that’s what parents tell me. That final scene was hardly worth it. My first 18 film was “Dirty Harry“. Clint Eastwood played a seriously unhinged individual wreaking violent revenge in horrific ways. I still can’t get the scene out of my head where he shoots a guy in each limb from close range. But for some reason I just couldn’t tear my eyes away. Even a Certificate-15 that I saw at school at 14 (state school incompetence could be unbelievable) took me weeks to recover from. “I Still Know What You Did Last Summer” was about a serial-killer wielding a massive hook and you can guess how his victims met their excruciating ends. We have an old house that makes noises at night. It was windy and every creak was the psycho coming up the stairs. Every shadow was his cape. I started screaming and mum embarrassingly complained to the school that I’d lost nights of sleep over a film that I was a whole year too young for. The teacher retorted that “none of the other kids had had a problem with it”. We then watched a horror film at home “Don’t Look Now”, again about a serial-killer (clearly a subject I need to avoid). Once again I spent at least a week of disturbed nights imagining I was next. Following this I decided that Certificate 15s had to be vetted first and 18s were definitely off-limits. Partly to blame for my ridiculously realistic and detailed imagination are my parents, who have never had a television. I can still remember the euphoria in the house when videos were put onto CDs and we could finally watch them on the computer. For the first time we had access to films outside of the cinema (which we went to about once a year) and friends’ houses. Dad was very much into what I term the “Roald Dahl philosophy” which was that screens killed the imagination (I think he wrote this in one of his autobiographies, which I highly recommend). This is true. Children growing up today are deprived of the ability to imagine, to “make-believe”. It’s all too easy to dump them in front of a screen and let that do the work. But our favourite time of the day was story-time. Dad would be back from work, we’d get cosy and he would create new and exciting worlds full of weird and wonderful characters with different voices. We used to beg for “one more chapter! just one more!”. 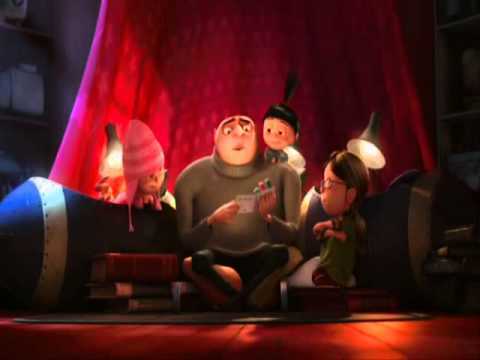 Copyright Disney/Pixar – This scene in Despicable Me 2 shows a typical night in our family. I used to have incredibly powerful dreams which felt as if a film had come to life in my head. There I was ducking from the searchlight of a helicopter, dodging bullets whilst escaping enemy spies. I’d wake up with adrenaline and sometimes I’d go back to sleep and see what else happened. I even wrote some of them down. Anyway, last week my boyfriend came back from work talking about this “Gone Girl” film. Quite a few of his colleagues had been discussing it and he thought it sounded interesting. We looked into it and I realised it was 18-Rated. My first instinct was to say I wasn’t interested. But I was. I also wanted to know what all the fuss was about. When we went it was clear that reviews had had a similar effect on the packed audience. That or they’d heard Ben Affleck was naked in it (which definitely would have persuaded me and yes, it is worth watching for “that” shower scene). Copyright Fox Movies. The man behind “Gone Girl” is David Fincher, director of Fight Club which apparently also featured an intricate plot. However I stopped watching it due to the constant violence. As far as 18’s go Gone Girl wasn’t bad and it was a highly entertaining evening. There was a clear warning about the gruesome bit when a sharp implement was picked up. I looked away but the sound effects were bad enough. So I observed reactions instead. My boyfriend stared wide-eyed at the screen holding his breath, white knuckles clutching the armrest. Everyone else was watching in a similar fashion. I asked him when it was over and thankfully it wasn’t a long scene. I was still a little traumatised by the thriller aspect of the film the next day, getting flashbacks as my brain processed it. It was a story with lots of twists and turns that made you puzzle about it afterwards. I like features that make you do that. The size of cinema screens really gets you involved too. Would I see another Certificate-18? Probably not. I don’t need cheap tactics like blood and gore or god forbid, car chases, to get drawn into a film. I need a clever engaging plot (“Gone Girl” was excellent in this regard), well-developed characters and an interesting script. That’s all. Firstly, apologies that I haven’t written for a while – my creative energies are currently being directed towards a novel I’m writing. It’ll take several years to complete but I will let you know if it gets published. From 2012-2013 there were just under a million cases of personal property theft according to the British Crime Survey. Yesterday I saw CCTV footage of a stealing personal assistant in the news and it upset me. It was even worse that the victim had only just come out of hospital. Sadly when I searched for the topic “CCTV stealing carer” many videos came up, including someone caught red handed and the mobile phone footage of the parent. Both ladies I’ve worked for have been victims of this crime. Unless the amounts are large, compensation is the most common outcome. However I think a jail sentence is necessary to teach them a lesson. This was given to a carer who stole £35,000 over four years from a couple. They make an example out of cannabis growers, why shouldn’t they make an example out of those who steal from the people they are supposed to help? However, the criminals will not be able to work in the care industry and will probably struggle to get a job now, which is something. This is why if you think it is happening to you you must get video evidence and report it. Don’t leave them with a blank Criminal Records Bureau check so they can target someone else. The psychological scars it causes can be long-lasting. – If I am careful and smart, I will not get caught. – Even if I do get caught, I will not be turned in and prosecuted. – The merchants deserve what they get. – Everybody, at some time or another, has shoplifted; therefore it’s ok for me to do it. – Shoplifting is not a major crime. – I must have the item I want to shoplift or if I want it, I should have it. – It is okay to shoplift because the merchants expect it. The carer may have taken £20 per week rather than the whole amount in her employer’s purse because she thought that in small amounts it would not be spotted. The thieves obviously see those who they care for as soft targets. Perhaps she was also greedy – the Chanel handbag on the thief’s arm as she walked out of court seemed to suggest that. When I worked as a legal secretary we advised a girl who had stolen from her parents. She showed no remorse and merely worried what the sentence would be. Both the lady who stole £35,000 and this girl bought luxury items with the proceeds, leading one to think that, again, self-indulgence is a strong motivation. My moral conscience is secure. I would never think that stealing was acceptable. When I looked after an elderly lady I was shocked to hear about her experiences. She was naturally very distrustful of anyone new and was worried whenever I had to run errands in her bedroom without her there. She had been the victim of hoax callers pretending to check her television was working who then stole from her. She had also been the victim of a carer who had stolen things while in her bedroom. When she was in hospital she had her wedding ring taken. She had resorted to carrying a pouch around her wrist with her valuables in and when she went into hospital she wouldn’t let anyone take it off her. She wouldn’t let me have a front door key, so when her door jammed and she couldn’t get out of her bedroom, I had to ring her son, frightened that something had happened to her during the night. I dread to think of the care I will receive if I ever have to have home help, after hearing what she continuously went through. I asked her why she didn’t report it and she said she had no evidence and didn’t want to cause trouble. This was of course the reason that Lynette Nardone had to pay £1,000 for a CCTV security system as she didn’t feel safe in her own home. A CRB check won’t necessarily help either – whilst they do deter those that have been caught, they will not stop those who have escaped the law or first-time opportunists. Unfortunately it is impossible to tell who you can trust and who you can’t. It took many months for my employer to trust me after what she had been through. It is probably best to assume the worst. This afternoon I went swimming with a friend. I hadn’t seen her for ages and was really looking forward to it. We had a good gossip and remarked at how busy the pool was that session. There were people selfishly ploughing up and down and almost into us. I left the pool to get my goggles from my locker. When I got back I saw to my horror that my friend was struggling to keep afloat in the deep end. The key rule being “kindly refrain from lane rage”. We saw a lot of that today! There were about 15 people in the pool and they were all at the sides just gawping at her. It was awful. I was about to leap in myself, what were the lifeguards doing? I looked to my left and they were also standing there staring. It was like someone had paused a film. I announced “my friend needs help” and suddenly the play button was pressed again and the lifeguards leapt into action. I jumped into the pool too and hugged my friend. She was really embarrassed and said she “felt stupid” for “making a scene”. But I said the onlookers should be the ones feeling embarrassed for just looking on instead of doing something. I hugged her, she was clearly shaken at the ordeal. She had been struggling for several minutes crying for help and no one did anything. This seems to happen often now. No one comes to the rescue in an emergency for a variety of reasons. Perhaps they don’t want to get involved or they think someone else will. But sadly, it’s nothing new. 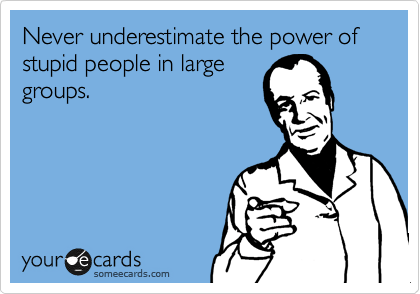 According to psychologists, the phenomenon is known as “bystander effect”, when the presence of others hinders an individual from intervening in an emergency situation. It first came to public attention in 1964, when Kitty Genovese was stabbed and raped in the streets of Queens, New York. Reports at the time claimed that there were 38 neighbours who heard her screams and that none of them did anything, even when the killer returned to finish the job. A more recent investigation suggests that there were perhaps only “6 or 7 witnesses”. One of them “did not want to be involved” as he was drunk, and so telephoned a neighbour asking them to contact the police. Another more recent example is an assault that happened in New Zealand, where a pregnant lady was kicked and stamped on in front of 20 people. Only two witnesses called police and no one physically helped. But according to the psychologist quoted in that news report, once someone steps in, others tend to follow. “It just needs someone to take the lead,” he said. “Someone needs to break free of that social phenomena of the bystander apathy and stick out, be courageous.” Which I suppose is what happened when I broke the stunned silence of onlookers today. I had reacted a bit slowly as I expected lifeguards to do their job, but once I realised what was happening I am glad I did something. The reason that witnesses don’t respond is because of confusion, fear and uncertainty. Perhaps they are not sure if it is their responsibility. It’s easier not to act. If it’s safer not to that is understandable. But out of 20 witnesses of the serious assault in New Zealand, just 10% reacted and called police. Someone I was at school with, Hassan, was walking along the street when he saw an elderly lady wandering about, clearly lost and confused. Everyone else just walked past her, but Hassan, a doctor, couldn’t ignore her. He discovered that the lady had wandered out of her nursing home. He took her to hospital, as the nursing home insisted the lady was still in bed. He was hailed as a hero and he was. But this is something that we all should do. He may have saved her life. There was the shocking neglect at Stafford Hospital, which included patients being so desperate for water that they were drinking from vases. Everyone thought it was someone else’s duty to ensure basic needs were met. What today taught me is that I am a lady of reaction rather than inaction. In an emergency the difference between these two responses can mean life and death, if not for you then for someone else. People have died when they could have been saved. If we don’t act we all have blood on our hands. So don’t just look the other way and don’t just stand there. Be the person to make a difference. Or maybe more. 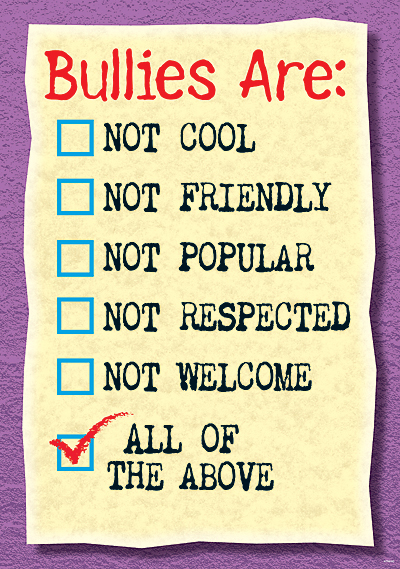 According to anti-bullying charity, Ditch the Label, 69% of young people will experience bullying. Children have even committed suicide, often due to a new phenomenon known as cyber (online) bullying, and it doesn’t stop there, with a quarter of office workers experiencing it. When I was younger I used to get really upset by people trying to humiliate me and put me down. But then I grew up and saw it in a new light. 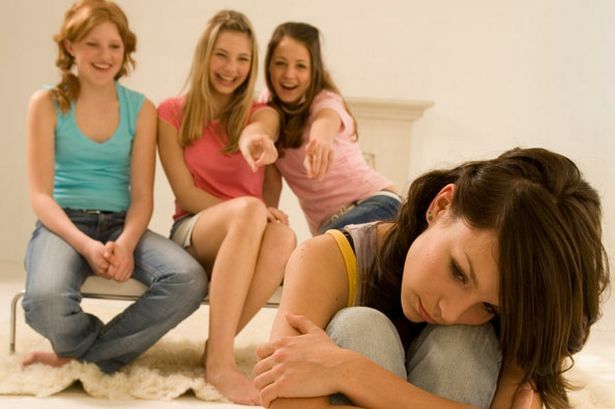 By showing you up, they feel like everyone is on their side, laughing with them. They think they appear more clever as a result. They don’t. Perhaps they feel that you are more qualified or perceive you as superior, this leads to point one – they need to ensure that they are back on top in their minds. So take it as a compliment. It gives them a kick for that time you did something to offend them. They see you as a soft target. Don’t be one. Their lives must be unhappy to behave like that. Perhaps they envy you, perhaps they need help. But don’t make it your problem. Perhaps they were badly brought up. Feel grateful that you were brought up to be polite and respectful to others. Sociopaths have high self esteem. If this is to blame, they think they’re amazing, so why shouldn’t you think that about yourself as well! What makes you different makes you beautiful. Christina Aguilera had it right in her song about the issue. Maintain your personal integrity. Don’t try to behave like them in revenge. For example if they are swearing, don’t lower your standards and swear back. You know you are better than that. They want an emotional response from you. Don’t let them have it. When I was at school a student told a girl in my class that her headband looked like toilet roll. She responded “if toilet roll was all I was wearing you’d be happy to see me in it wouldn’t you”. The boy was not expecting a comeback and blushed – the joke was now on him. She then wore the headband for the rest of the week. Think on your feet and show the bully they haven’t affected you. This is how you win. They’ll try and collect things you say or do to use against you later. Make sure you don’t say anything they could use when they are in earshot. Make sure you behave appropriately for the same reason. This is age-old wisdom and it’s true. Treat them like anyone else – you do not want them to think they have got to you, this may be what they want. 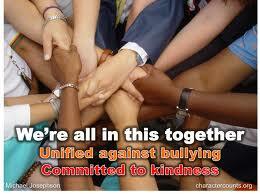 Bullies teach us how to deal with adversity. With their challenge we can grow stronger. People who bring negative karma to others usually get it back themselves. For example, someone who is rude to you may be rude to a teacher and be disciplined. This is why there is no point in revenge, the consequences of their behaviour will be felt at some point or another. With unshakable confidence they can’t make you doubt or think negatively yourself. Taekwondo really helped my brother with that. Self defence also means you know you can protect yourself should the bullying get physical. I got confidence from my grades and my sister got confidence from dancing exam results. If it starts affecting you or your work don’t be afraid to address their behaviour with them privately or tell someone with higher status if this is unsuccessful or if you feel too intimidated (e.g. teacher, manager). They may not realise they were upsetting you. Make sure you have a log of specific things they have said/done with dates. If there is no result take it to the teacher/manager again, or take it to a more senior level if you feel it is not being addressed. Explain what you have done to attempt to rectify the situation. Again make sure you have dates and stick to the point. When addressing it with the bully or a superior, be clear that it is nothing personal, you just wish to be treated with respect. Don’t suffer in silence – they wouldn’t. Try and laugh at how ridiculous they are – it always makes things easier.